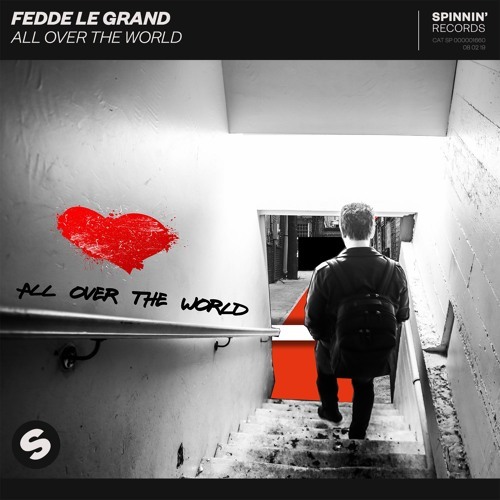 Out now on Spinnin‘ Records is a stellar track by Fedde Le Grand titled ‘All Over The World‘. It’s groovy with elements of future house and a tad electro. We expect nothing less from the famous Dutch DJ and producer. It starts off strong, with lyrics about spreading love all over the world. Seems very appropriate as the mantra for all electronic dance music. Embrace your inner diva when you listen to this track. The buildup loads into a killer drop with that metallic, elastic sound. Driven by the frequency modulated bass, the second part of the song continues with the same vibe and flow but takes you home. We seriously cannot get enough of that drop! As one of the most defining figures in the fast-evolving genre that is house music, Fedde focuses on making and playing great tracks. His dedication to music combined with an unwavering passion for the dancefloor makes him an inspiration and a pioneer to us all. He really is house music at its finest. With his artistic freedom, he influences electronica through his creative beats, grooves, melodies, and rhythms. Thousands have witnessed his show-stopping live sets exploding with his ingenuity and originality. He’s performed at Coachella, Exit Festival, Global Gathering, Electric Zoo, Mysteryland, Tomorrowland, EDC and more. He’s quite the veteran to the circuit and has become a world-renowned showcase of electro and house. Let’s not also forget he holds the regal position as a global headline resident for the Sensation parties. This is a righteous tune that will captivate you in a live performance. We hope he adds it to his set because we will surely spread its energy all over the world. Take a listen to the song below!